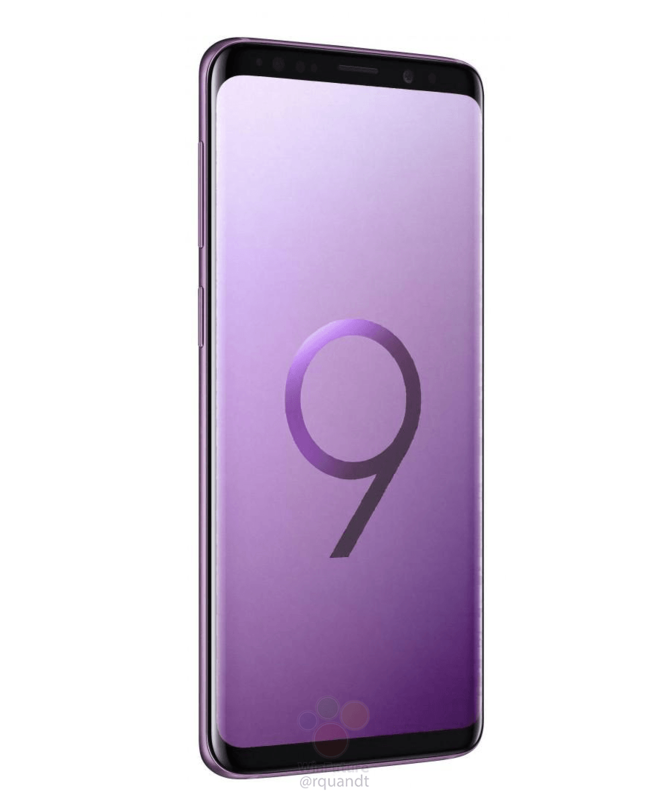 We’re less than a week away from the official launch of the Galaxy S9 and the Galaxy S9+. 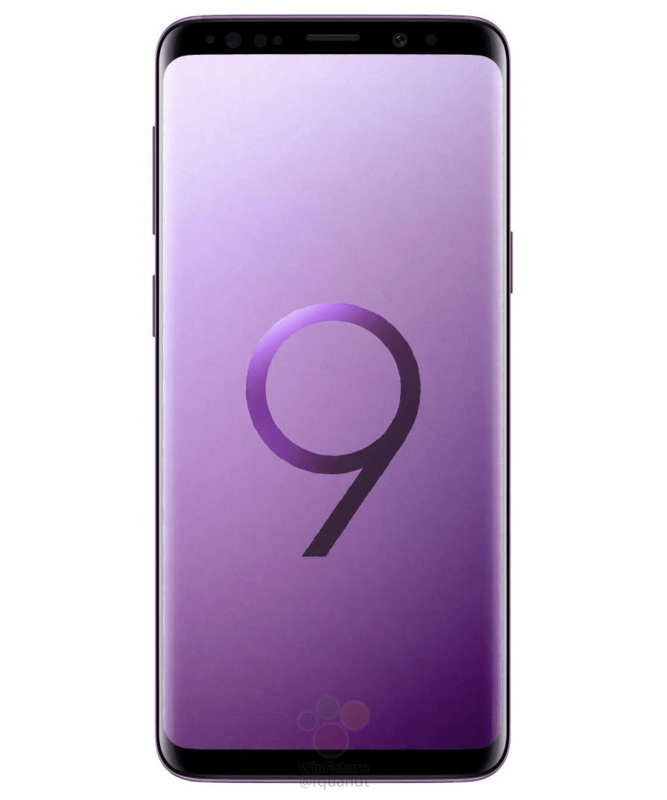 While we already know what to expect from the Galaxy S9, a new leak has left little to the imagination. 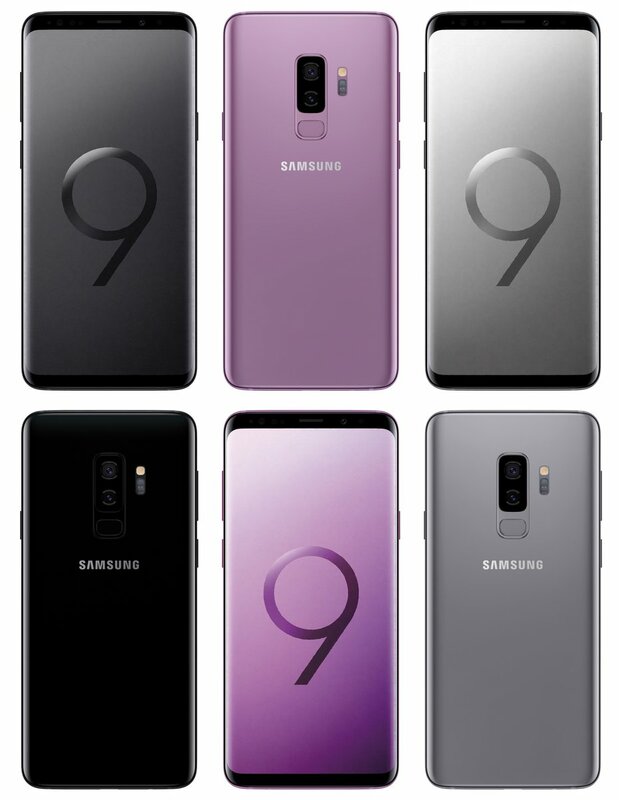 Not only does it reiterate what we’ve heard about the Galaxy S9’s specifications but it also brings some images of the Galaxy S9 and the Galaxy S9+ as well. The leak likely stems from some retailer’s database. As expected, the design itself is quite similar to the Galaxy S8 and the Galaxy S8+ with the bottom bezel being noticeably smaller. The placement of the fingerprint sensor below the camera is one major design change. We can also see the new Lilac Purple color in these images. 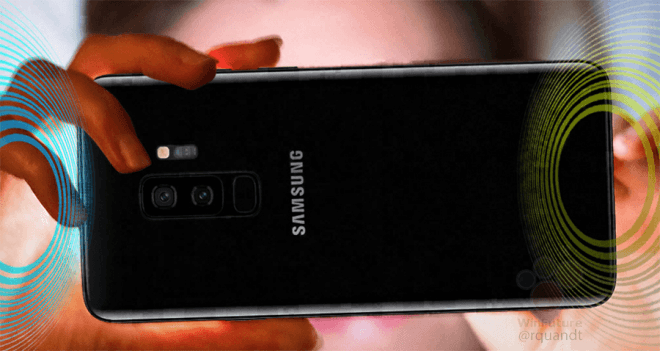 Samsung’s own teasers have suggested that the camera will perhaps be the biggest selling point of its new flagship. 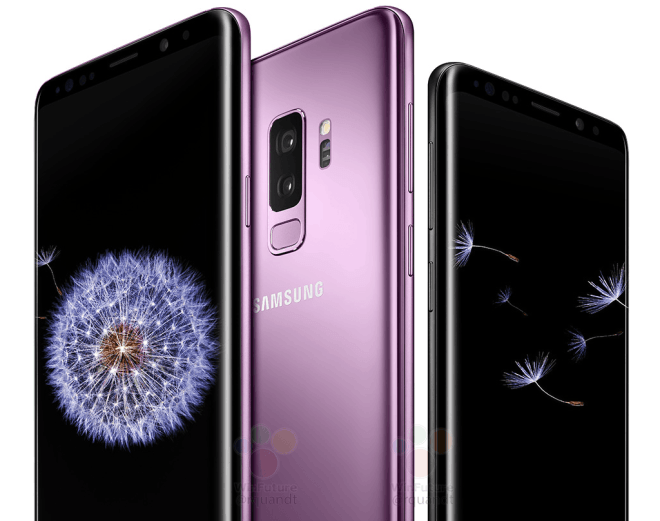 The leak reiterates that the Galaxy S9+ has a dual camera and that the camera on both models will feature f/1.5 and f/2.4 variable aperture. 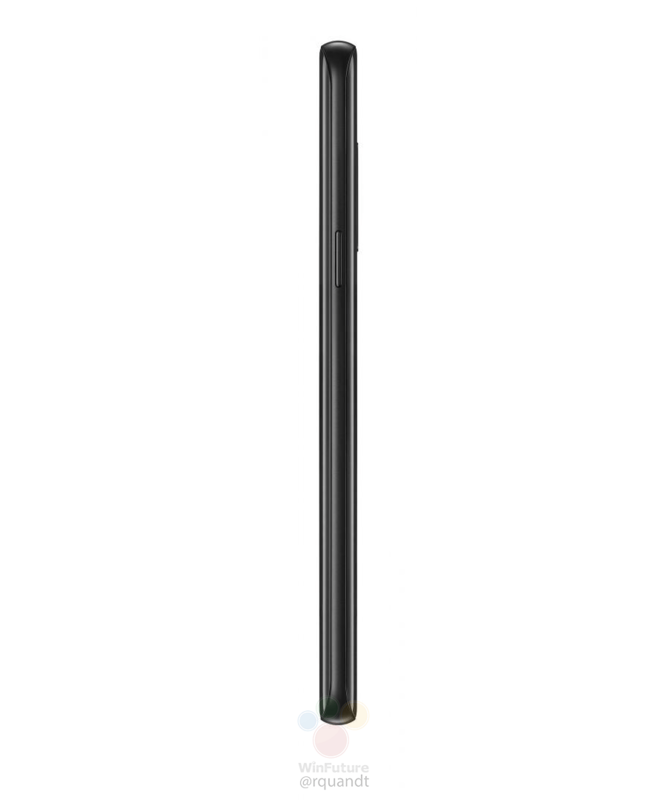 This will result in enhanced performance in both low-light and well-lit conditions. Reports about the slow-motion feature supporting up to 960fps have been backed up by this leak though the resolution hasn’t been revealed. The company will finally be introducing stereo speakers to its flagship smartphones with the Galaxy S9. Tuned by AKG, the stereo speakers will provide surround sound using the bottom-firing speaker and the earpiece which will double as a speaker as well. 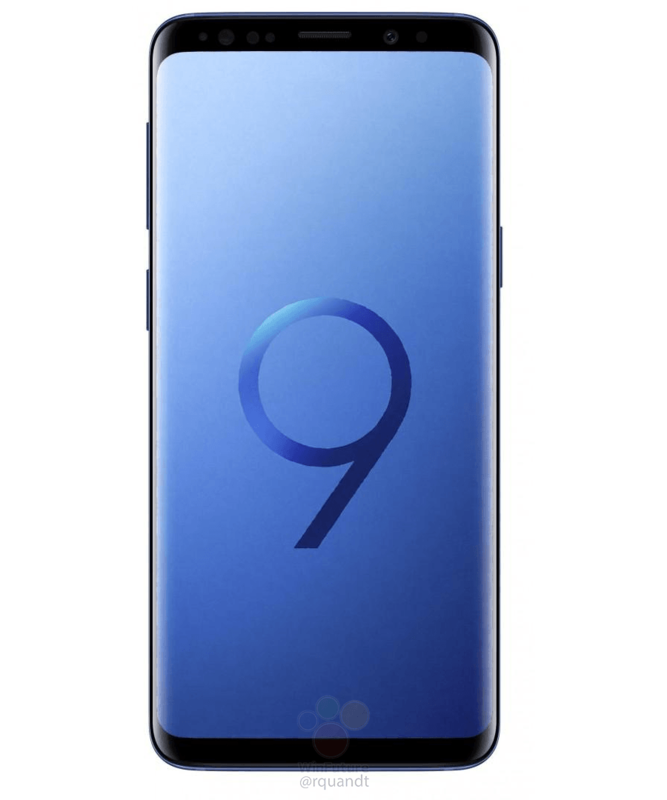 No new revelations have been made in this latest Galaxy S9 leak as far as the specifications are concerned. The Galaxy S9 and Galaxy S9+ feature 5.8-inch and 6.2-inch 2960 x 1440 pixel resolution 18.5:9 aspect ratio displays, Exynos 9810 processor in most markets as well as 3,000mAh and 3,500mAh batteries. 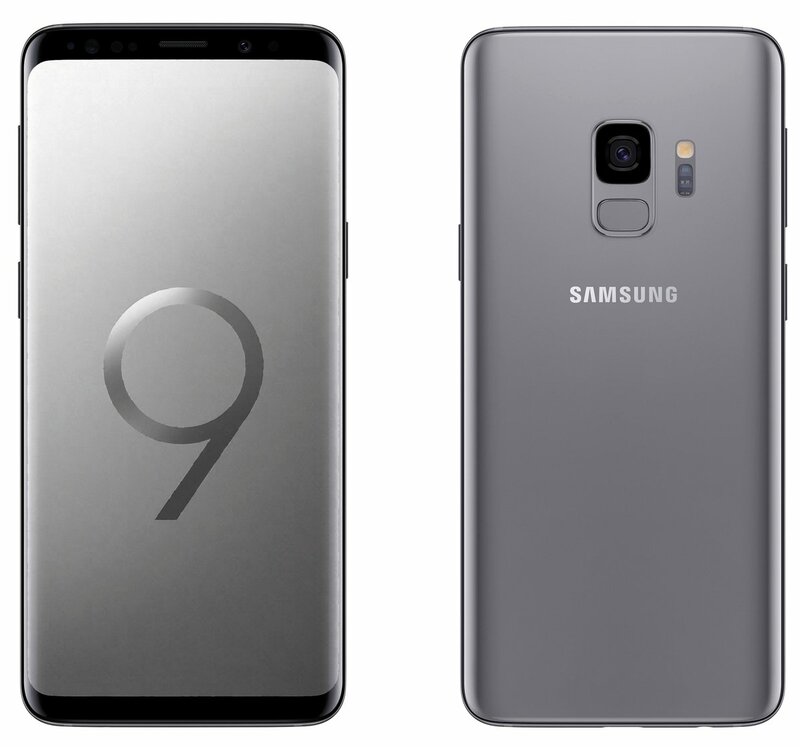 The base model will feature 64GB of storage and the Galaxy S9 will feature 4GB of RAM while the Galaxy S9+ will get 6GB. Both models will also be available in a dual-SIM variant. No word as yet on the pricing but Samsung is reportedly going to start taking pre-orders for the Galaxy S9 and the Galaxy S9+ on February 25, the very same day that they’re unveiled, with shipments starting March 8. 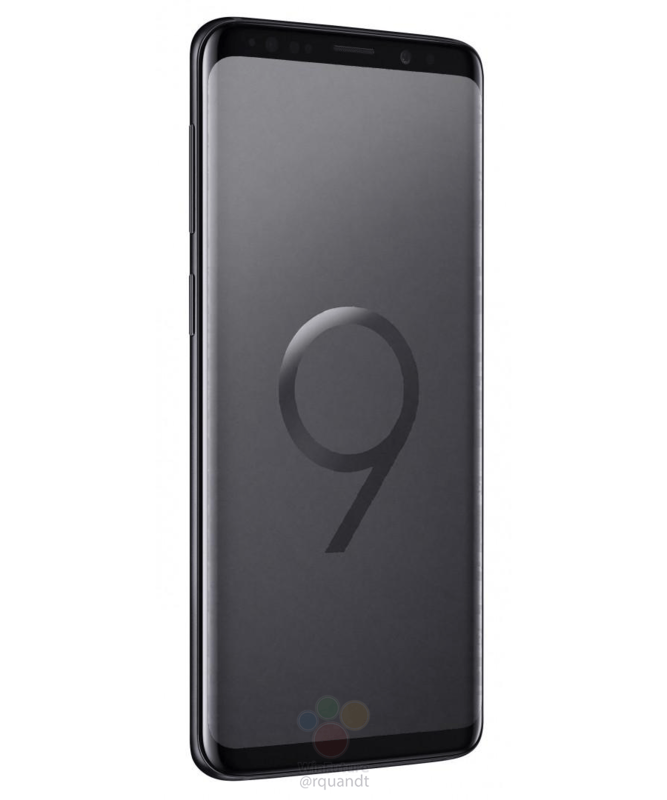 Update: @evleaks just followed up on this leak with a render of the Galaxy S9 in Titanium Gray. This color will be available in markets outside Europe. 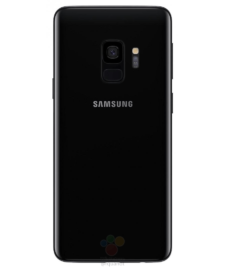 Update 2: More renders have been leaked by @evleaks. It’s just more of the same now. I’m still with Note 4 Exynos version…and everytime a new phone comes out from Samsung, I say this is the one that I’m gonna upgrade to…and then I get blown by the price ! For me I never buy anything that is overpriced…either I wait for the prices to go down, or I stick to what I have…Cause I don’t see a reason that mobile prices are higher than laptops these days ! it’s just ridiculous ! It looks like a phone with a proper, no nonsense display to me. 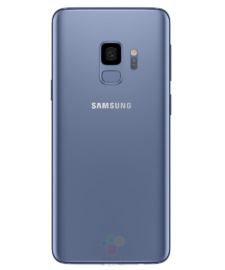 Tbh you don’t nktice the edge screen on the s8 and one huge advantage I got from upgrading from the s7 flat to the s8 was the ergonomics and how much nicer it is to use with one hand. The curved screen help make the width thinner and doesn’t have a Sharpe line that “cuts” into the palm of your hand. 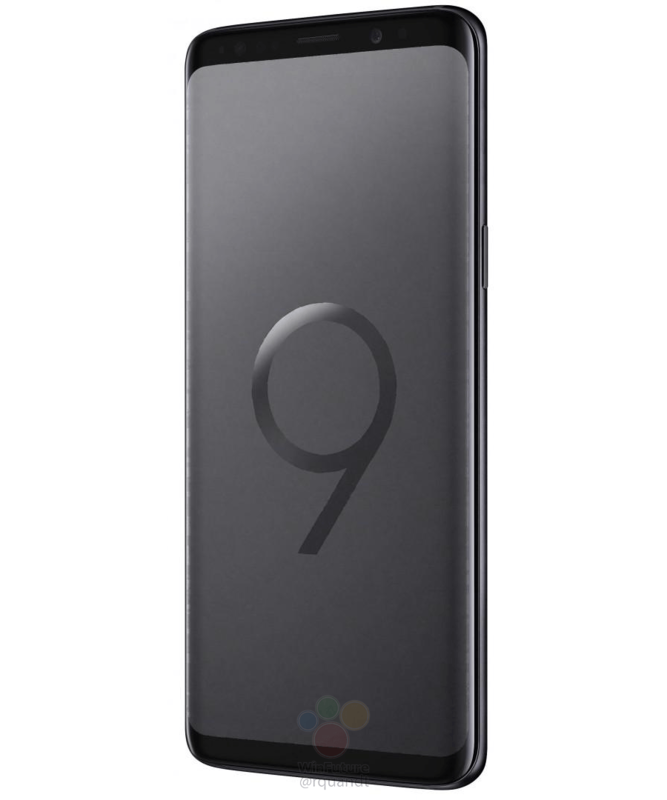 Plus it is a much more handsome phone. Agreed. I have no use for the glare and distortion that the silly curves create. 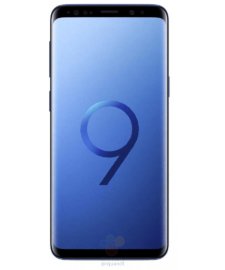 So the vast majority of the people who already bought the S8 (one of the biggest consumer mistakes in my life) won’t buy the S9, and those who didn’t buy the S8…have no reason to buy the S9 either? I think they need a hard slap failure in their face. The prices abuses and the floor-scrapping greed need to stop somehow. 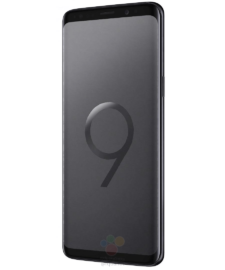 I didn’t mention the S9+, only the regular S9. They way they provided software update and security update., lag on keyboard on my note 8. 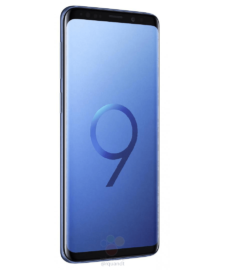 It’s obvious will never consider Samsung and wont suggest anyone. 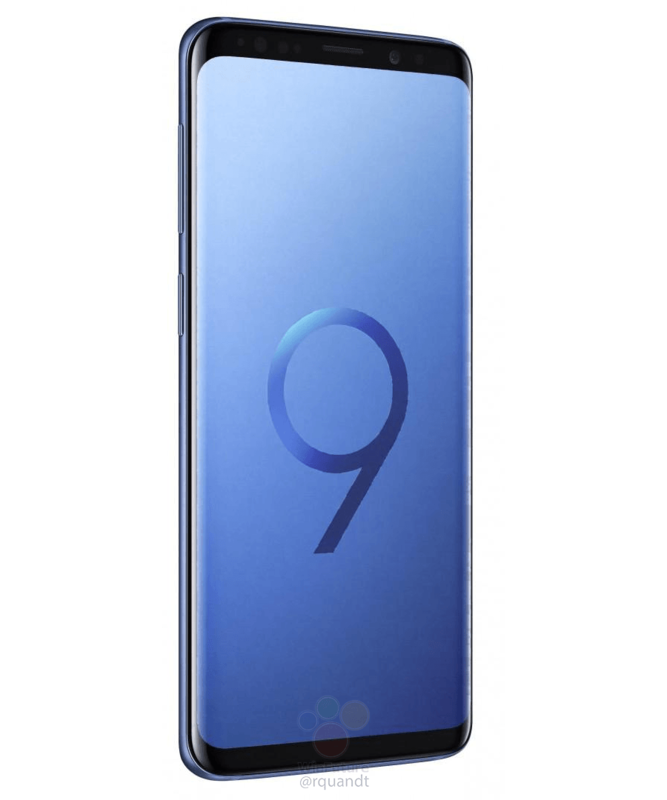 so many people judging the phone from it’s looks when all the features have not been revealed yet. Actually i dont care about the new phone as i will not buy it. 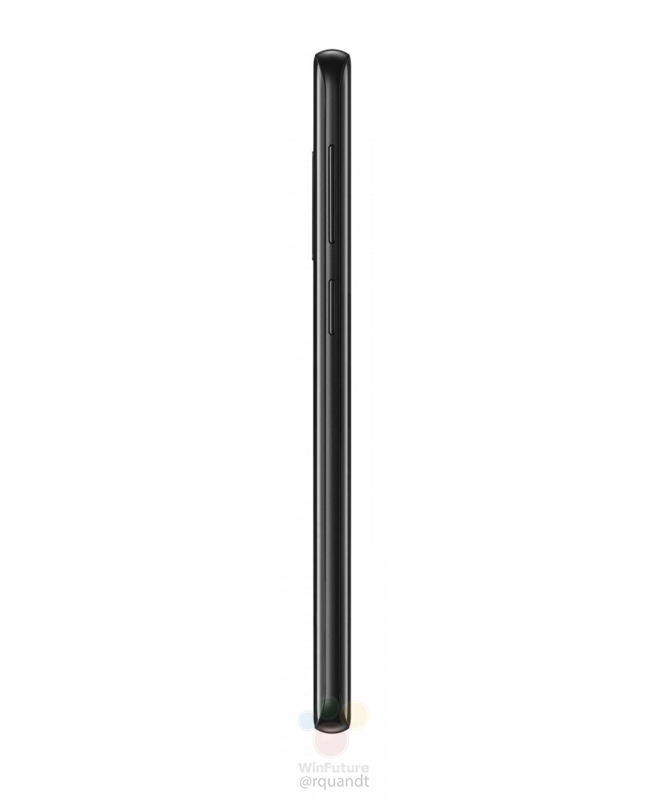 You are right the S Series has a much better support. I expect from Highpriced phones an equal Update policy. If i dont get that then i have to look for alternatives. I dont print my money myself. Problem is that i dont want to miss the pen on the Note8 therefore i either sacrifice the pen and switch brand as i can get similar phones for a better price or i i wait for the Note 9 and hope the best. 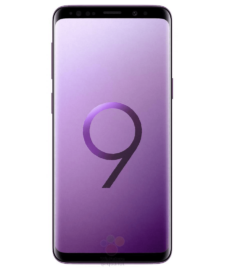 S9 Will cost 849€ and S9+ 949€ and both will come in Black, Blue and Lilac Purple. This Info is confirmed for the Spanish market. This I have seen on a Spanish retailer’s internal stock management system. 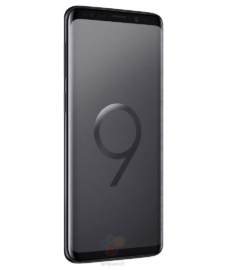 Then again the S9 is so unimaginative that we weren’t making much of an effort anyway. looks beter the previous leeks.